From the late 1800's through the 1940's, Greater Boston's Jewish community was a predominantly immigrant group that grew and prospered out of the shtetels of Eastern Europe and the ashes of the Holocaust. As these new Americans settled in Boston and the surrounding towns they built synagogues, formed landsleit organizations, and joined fraternal lodges. One of the first steps taken by these organizations was establishing and providing their members a Jewish burial site. Gradually, succeeding generations merged and assimilated into the American mainstream. Many of the cultural and social functions these societies and clubs provided diminished in importance. In addition, shifting populations caused many once-thriving congregations to close or move to new locations. These organizations may no longer exist today —but their cemeteries remain— an ever-stable reminder of these historic organizations. The result was second generation associations with a single purpose — the need for cemetery management. JCAM was established out of that need to ensure the Jewish community that the continuity of Jewish cemetery management would continue long after the original burial societies were unable to care for the cemeteries. Therefore, JCAM was formed in 1984. 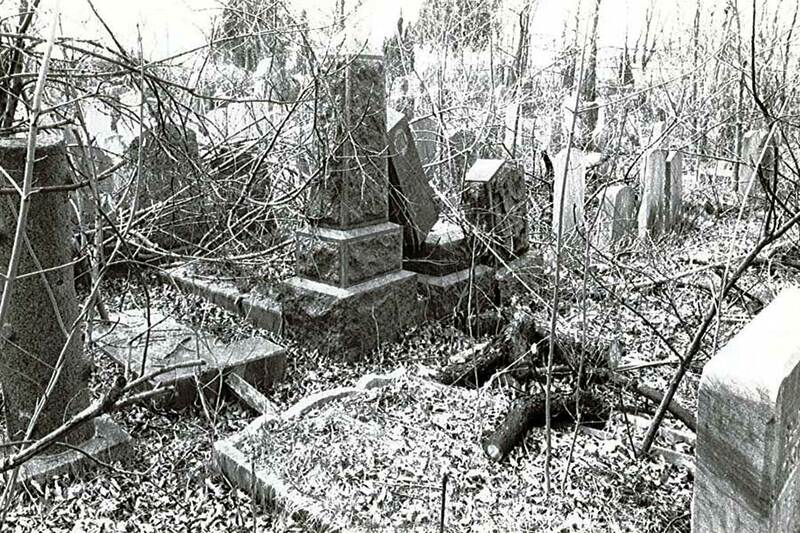 It began with 17 Jewish cemeteries, 5 of which were abandoned. 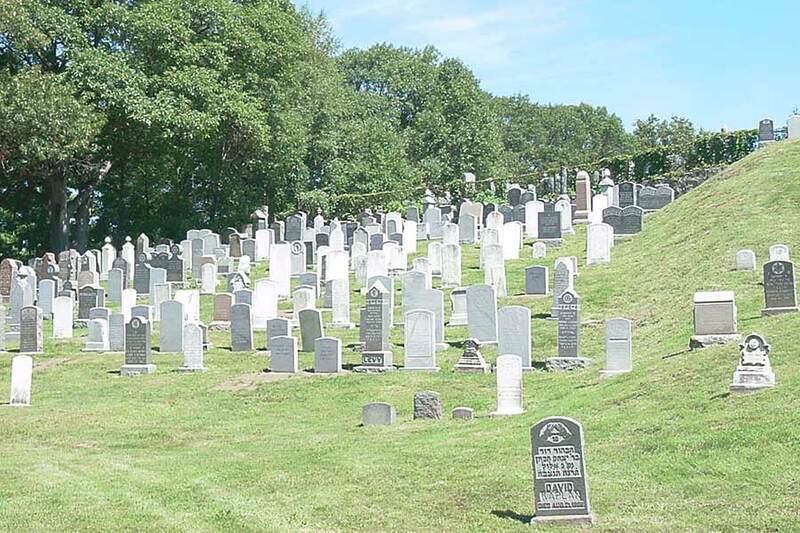 There are 222 Jewish cemeteries in Massachusetts. Today, JCAM cares for 123 of those cemeteries; including the oldest (the Temple Ohabei Shalom Cemetery in East Boston) and newest (the Beit Olam East Cemetery in Wayland). That is more than 50 percent of the Jewish cemeteries in Massachusetts. Over our 30-year history, JCAM has become an important Jewish cultural and historical resource. Those still functioning cemetery associations who continue to be affiliated with active organizations are reasonably assured that future generations will carry on the work of their forefathers. However, the interests and concerns of third and fourth generation American Jews are vastly different from their ancestors. This is the reason independent cemetery associations have found succession so difficult, if not impossible. Thus, they turn to JCAM to carry on the work when they can no longer. Restoration is the core foundation upon which the success of JCAM has been built. Since 1984 we have invested a large portion of our operating budget into cemetery restoration. Our efforts have been rewarded as hundreds of families have expressed their appreciation for our good work. Our restoration projects have demolished run-down, unused buildings to make way for additional graves and gardens. We have pulled up miles of concrete walkways that have crumbled dangerously through the years and replanted grass. We have replaced fences and gates that have been damaged through the years, brickwork that deteriorated over time. We repaired sprinklers, removed dead trees, fallen limbs and overgrown bushes. In 2004, as part of JCAM’s 20th Anniversary celebration, we proudly rededicated the cemeteries on the Centre Street Hill in West Roxbury. One of the original abandoned cemeteries by the community, the Chevra Thillim Cemetery on Centre Street in West Roxbury was a jungle of overgrowth and a disgrace. JCAM accepted the responsibility for its restoration, care and maintenance. Setting aside money through the years, we were able to perform a full restoration in 2004. As more and more independent cemetery associations join the JCAM family, we have been hard at work with the restoration and preservation of not only the physical cemeteries we care for. We have spent innumerable amount of time in overhauling our record keeping systems to streamline and make them more efficient and modernized to keep up with the growing needs of the community. Gone are the days when cemetery records are kept on index cards and in outdated computer and mapping systems. We are moving more and more into utilizing 21st century technology, mapping systems, databases and even drones to enable us to pinpoint graves. We are proud of our accomplishments. When needed, we provide graves for the less fortunate of our community, many free of charge. We respond to the need for Jewish tradition and continuity as Chevrat K’vod Hamet, the guardians of our dead. All of this is building for the future generations of JCAM while ensuring the Jewish community continuity and peace of mind regarding their loved ones resting on our cemeteries. Your support of our efforts is crucial to our ongoing success. All donations to the JCAM Charitable Foundation are tax deductible. Thank you. 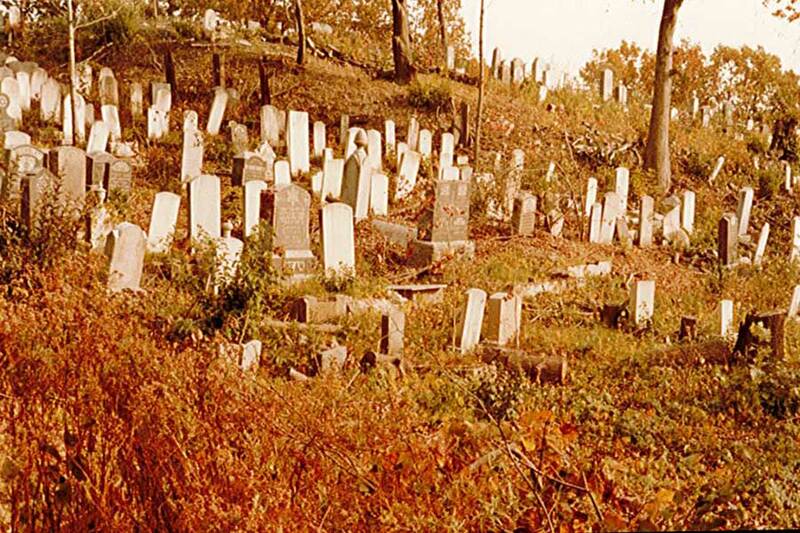 This is the Chevra Thillim Cemetery on Centre St., West Roxbury before JCAM was created, approximately 1984. This cemetery's situation was the catalyst for JCAM's founding. This is how it looked approximately 1986 after JCAM started to clear the debris and right some monuments. This image is from 2004 after complete restoration JCAM held a rededication ceremony. Quincy Hebrew Cemetery, Baker St.